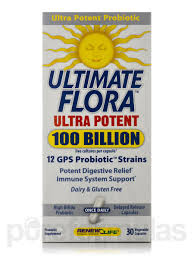 What are the differences in probiotics? 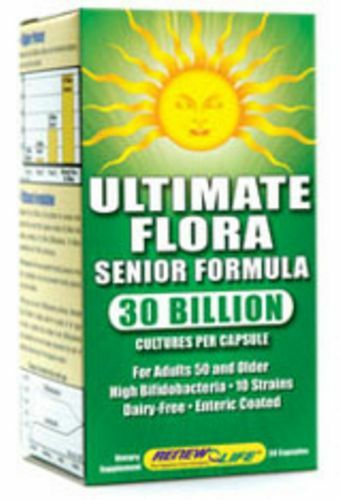 Ultimate Flora Senior Formula is a daily maintenance probiotic formulated specifically for people over 50. 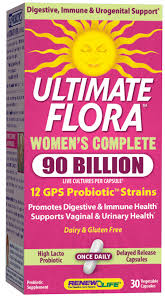 What makes Ultimate Flora Senior Formula different from other probiotics is its high Bifidobacteria count. Bifidobacteria are the most prevalent good bacteria in your large intestine, and they begin to decline around age 50. 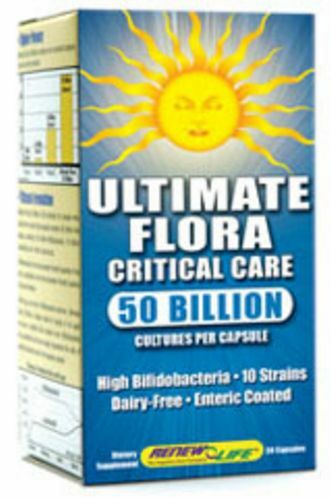 Ultimate Floram Critical Care contains 50 billion active cultures per capsule, including 30 billion Bifidobacteria, the most prevalent good bacteria in the human digestive tract. 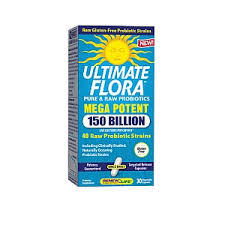 Ultimate Flora Critical Care is perfect for people with critical probiotic needs. 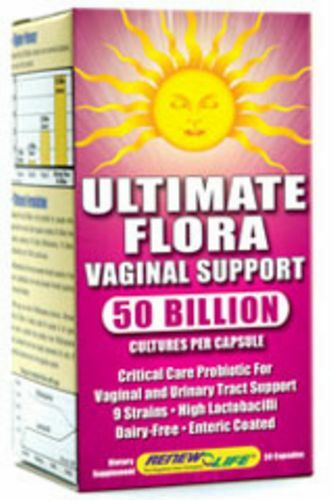 Ultimate Flora Vaginal Support is formulated to help maintain a healthy balance of vaginal and urinary tract bacteria. 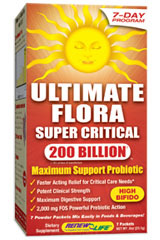 Ultimate Flora Super Critical 200 Billion is a 7-day maximum support program to help boost immunity and promote healthy digestive function. 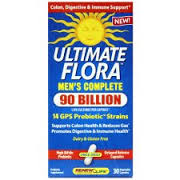 The quick-dissolve powdered formula works immediately and throughout the entire digestive tract to provide powerful relief for occasional diarrhea, constipation, IBS and other conditions that may result from severe illness, stress or other acute health events. WOW! The feed back on this product has been amazing. Come in and get a booklet on Renew Life's products. Try them for yourself and see the difference they make. 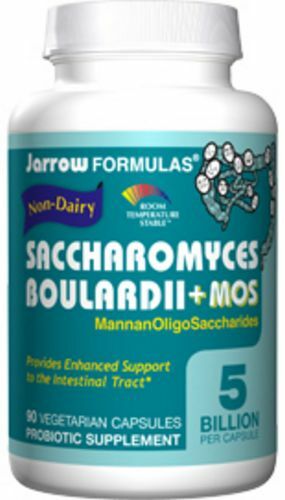 SACCHAROMYCES BOULARDII+MOS is a probiotic yeast that survives stomach acid and colonizes the intestinal tract. 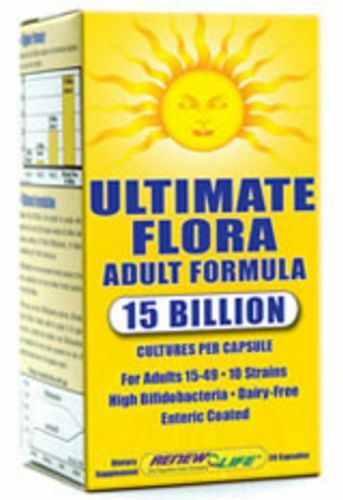 * It promotes the health of the intestinal tract, helps protect its beneficial microbiota, and enhances immune function. * MOS (MannanOligoSaccharide) is an oligosaccharide from the cell walls of S. cerevisiae that can prevent bacteria from adhering to the epithelial cells and reduce their proliferation*. SACCHAROMYCES BOULARDII+MOS does not require refrigeration and can be stored at room temperature. Refrigeration will, however, extend the shelf life. Avoid temperatures above 77 F (25 C).